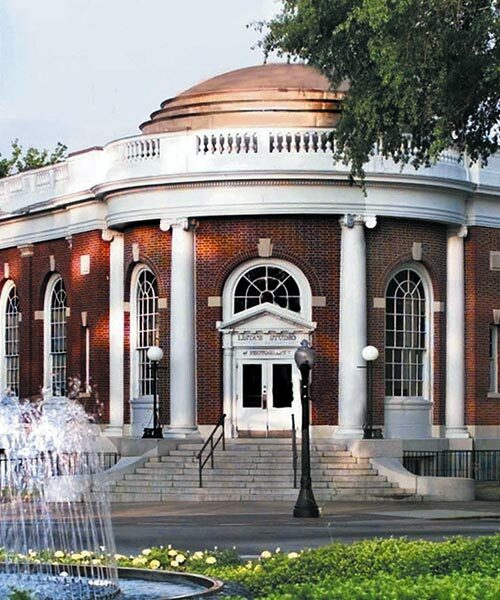 Southern Living readers voted Aiken, SC the best small town 2018. Visit the Southern Living website to watch a video and read the article. If you are looking for a place that offers all the amenities you'll ever need, a place that offers balance between the charm and grace of yesterday and the promise of tomorrow, you will find it in Aiken, South Carolina. 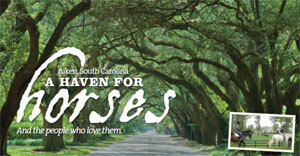 Aiken is the perfect place for all ages and for all seasons. It has been named 100 Best Communities for Young People, One of the 21 Best Towns for Boomers, and One of a Dozen Distinctive Destinations. With its rich heritage, impeccable beauty, cosmopolitan flair, and unparalleled quality of life, Aiken is the ideal place to spend a day, a week, or a lifetime. 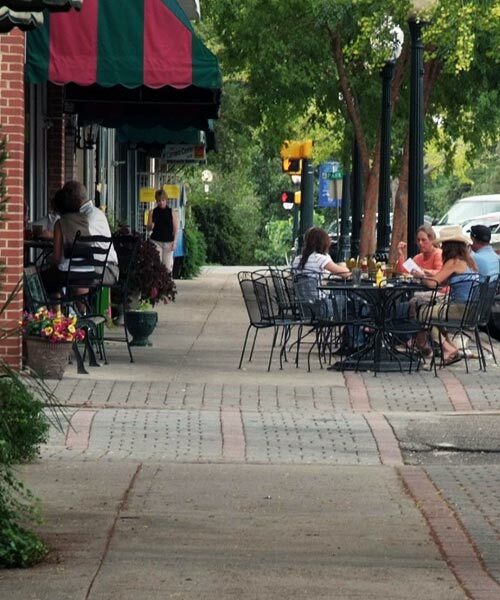 Aiken offers a uniqueness often unheard of in today's world, where affordable housing, award-winning schools, diverse recreational opportunities, and a progressive approach to business go hand-in-hand to offer something for almost every lifestyle. Mild four-season climate. Long spring and fall seasons with temperatures that average 70°, mild winters and warm summers. 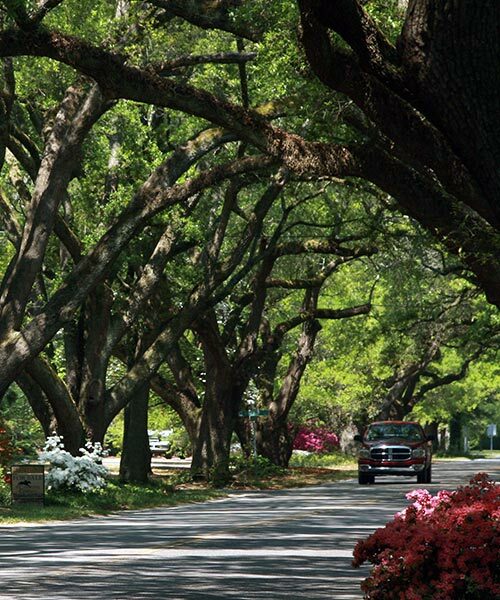 Aiken is a magnolia-scented small town with a proud legacy dating back almost 200 years. It is a place of charm, sophistication and great natural beauty. And it is perfect horse country. Modern vehicles sharing unpaved streets with riders on horseback... it is these types of unique combinations that make the Aiken area so special and appealing for any age groups. The old and the new blend perfectly to provide a lifestyle that suits almost any taste - from growing families to young singles and retirees. Having the 5th oldest golf course in the U.S. (Palmetto Golf Club) and the first golf course to offer women's tees (Aiken Golf Club), Aiken County has played a major roll in the history of golf. There are many outstanding semi-private golf courses throughout the area offering daily fee play. Close by is Lake Strom Thurmond, part of South Carolina's "freshwater coast". The lake's 70,000 acres of water offer excellent fishing, boating, camping, swimming and water sports activities. The Blue Ridge Mountains and the beaches of the Atlantic Ocean, as well as the state capitals of Atlanta, Ga. and Columbia, S.C. are only a few hours away. Aiken Regional Medical Center is a large modern hospital complex operated by Universal Health Services, one of the nation's largest hospital management companies. Aiken is just 20 minutes from Augusta, Ga. which is a major healthcare center for the southeast. There are 7 hospitals in Augusta, including Doctor's Hospital with the regions only burn center and two VA hospitals. The Medical College of Georgia is also in Augusta.